The skin in particular is an outlet for waste products via its pores and this can include some toxins that encourage infection or bacterial growth. 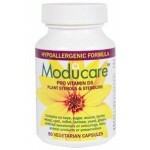 There are skin problems that arise because of reactions in the digestive system or by the liver. There are many body-care products available to condition the skin, hair and nails and it is necessary to avoid certain ingredients which may damage or impair tissue and follicles. Many of these chemicals are now known and care is needed in selection of body or skin-care products by checking their components. The trend is for natural based products which have less of the reactive synthetic ingredients. Skin is our largest elimination organ—it is a two-way membrane that eliminates toxins (& some nutrients) through sweat glands and allows certain substances in through hair follicles and sebaceous glands. This enables our skin to be nourished externally by beneficial nutrients but it also allows potentially harmful substances to potentially enter the body's systemic circulation. Research shows that many of the personal care products we use contain ingredients that are harmful to health and are therefore ingredients to avoid their avoidance doesn't mean that is the best skin care product. Most natural, organic body care products have beneficial properties. The potential impact of harmful skin care ingredients is far-reaching—sometimes synthetic chemicals impact physically: breathing issues, skin problems, hormone disruption, chronic fatigue syndrome or impair immune system. They may also directly or indirectly impact emotionally. 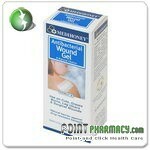 Zinc- wound healer; anti-inflammatory; UV protection. Vitamin A, or retinol, is one of the most widely acknowledged nutrients for healthy skin and used as effective treatments for severe acne and psoriasis demonstrating that Vitamin A influences the physiology of the skin. As it promotes cell turnover in the skin, Vitamin A is effective in preventing the cause of the most common forms of acne. Lack of vitamin A causes the skin to become keratinized and scaly, and mucus secretion is suppressed and hence rough, dry skin is a common symptom. Cod liver oil often suffices as a supplement, as this provides a balance of vitamin A and vitamin D that will reduce the risk of overdosing on vitamin A. Eating liver once or twice per week may help acne. 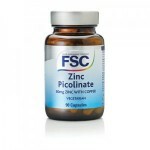 Zinc is an essential mineral that is a vital part of many physiological functions, including structure in certain proteins and enzymes, and regulation of gene expression. It plays a role in immune function, protein synthesis, wound healing, DNA synthesis, protection against UV radiation and cell division. Several studies indicate that dietary or supplementary zinc may reduce acne, even as effectively as antibiotics probably because it increases Vitamin A. Zinc is a component of retinol-binding protein, which is necessary for transporting vitamin A in the blood and hence Zinc supplementation can significantly increase the level of vitamin A in the blood. Plant foods (e.g. pumpkin seeds and other nuts) can be high in zinc, but are less bioavailable than animal sources, as the zinc is bound to phytates in plants unless they are pre-soaked. Vitamin C has been known for decades to play a crucial role in the regulation of the structural protein collagen. Humans cannot generate Vitamin C but need it in their diet. Vitamin C deficiency causes scurvy, exhibited as rough dry skin and corkscrew hair growth. Higher vitamin C in the diet can contribute to improved skin health, less bruising, less wrinkling and faster healing. Some anthrocyanidins like grape seed or Pycnogenol are considered to recycle Vitamin C and hence improve skin conditions. 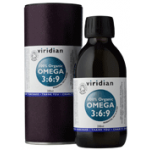 Conditions such as eczema, acne and psoriasis have been shown to be positively affected by supplementation with omega-3s from fish oil, or seed oils, leading to a reduction in the inflammatory process and improvement in overall skin condition , and can also reduce problems of pruritis, scaling, and erythema. Omega-3 fatty acids are known to be anti-inflammatory, and the relative intake of omega-6 to omega-3 polyunsaturated fatty acids (PUFAs) may be a crucial dietary factor in the regulation of systemic inflammation. Generally, western diets tend to be very unbalanced in essential fatty acid intake. This high ratio of omega-6 to omega-3 fatty acids in contemporary diets is a factor for inflammatory skin conditions such as acne, psoriasis, and rosacea.There are many reasons to eating eating fish rather than taking fish oil to get these omega-3s, as there are many other nutrients in fish that are highly beneficial to skin health such as vitamin D and selenium. For some inflammatory conditions a fish oil low in DHA may be more beneficial (e.g.E-EPA). Biotin is a water-soluble vitamin and an essential cofactor for enzymes in fatty acid metabolism. Proper fat production is critical for the health of the skin, as skin cells are continually being replaced and in contact with the external environment. Fatty acids in the skin protect the cells against damage and water loss. If biotin intake is insufficient or deficient, fat production is altered, and the skin cells or follicles deteriorate. A deficiency of biotin can cause hair loss and dermatitis around the mouth, face or scalp and dandruff. In infants, biotin deficiency manifests as “cradle cap”, or scaly dermatitis of the scalp. Although biotin deficiency is rare, consuming adequate amounts of biotin can help prevent or treat some problems with dry skin and seborrheic dermatitis. Sulfur, the third most abundant mineral in the human body, is an extremely important dietary component of skin health and overall wellness. A large proportion of our population is likely eating a diet deficient in sulfur, which could be causing the initiation and progression of many inflammatory and degenerative diseases. Sulfur is necessary for collagen synthesis, which gives the skin its structure and strength. The breakdown of collagen or insufficient production of collagen as we age is one of the major contributors to the development of wrinkles. Getting enough sulfur in your diet can help maintain collagen production and skin firmness. Sulfur, Vitamin E and Selenium are required for the synthesis of glutathione, one of the most important antioxidants in the body. High levels of glutathione in the body can prevent damage caused by free radicals, which are thought to be the major cause of cellular aging as a consequence of oxidative metabolism. Glutathione also regulates the production of prostaglandins, reducing inflammation. The level of glutathione in the body needs sufficient dietary sulfur-containing amino acids. Vitamin E is the most abundant fat-soluble antioxidant found in the skin. 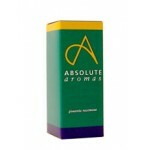 Many cleaning agents reduce its concentration and thus is important as a moisturiser. Vitamin E is secreted on the skin surface through the sebum and is an important protective factor on the skin’s surface. We depend on adequate dietary intake to keep levels in the skin cells at an optimum. 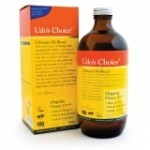 Vitamin E is a potent anti-inflammatory agent, and anti-oxidant. Vitamin E is also involved in immune function and other metabolic processes. It even suppresses the formation of arachidonic acid. When using a Vitamin E supplement ensure it is a natural source and contains a ‘family’ of vitamin E compounds. Pantothenic acid, also called vitamin B5, is a water-soluble for vitamin needed in a wide variety of biological activities, including energy production and protein and fat synthesis, and required by skin cells for proper regeneration and growth. Pantothenic acid also significantly increases levels of glutathione in the cells-increased levels of glutathione in the skin protects against oxidative damage of cell membranes, reducing the effects of sun damage, pollutants, and other stressors. Many people may be at risk for deficiencies of this important mineral due to poor levels in the soil, inadequate intake, and intestinal disorders that affect absorption which have consequences for general health and the health of the skin. One of the most important functions of selenium is as a component of glutathione peroxidase and epidemiological evidence suggests that cancer rates are significantly lower in areas of the world where selenium levels in the soil are high, Patients with acne have been shown to have low levels of blood selenium, as well as low levels of selenium-dependent glutathione activity. A silica deficient diet has been shown to produce poorly formed connective tissue, including collagen. Silica is essential for maintaining the health of connective tissues due to its interaction with the formation of hyaluronic acid, which has been shown to promote skin cell proliferation and increase the presence of retinoic acid (vitamin A), improving the skin’s hydration. 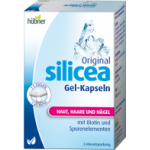 Therefore, a deficiency in silica could result in reduced skin elasticity and wound healing due to its role in collagen formation. Niacin, vitamin B3, is vital for cell metabolism as a coenzyme in energy producing reactions involving the breakdown of carbohydrates, fats, and proteins, as well as anabolic reactions such as fatty acid and cholesterol synthesis. While a low intake of niacin is unlikely, there are some digestive diseases that may cause inadequate niacin absorption from the diet e.g. coeliac disease, IBS or Crohn’s disease . Vitamin K2′s role in the body includes protecting us from heart disease, forming strong bones, promoting brain function, supporting growth and development and helping to prevent cancer. It performs these functions by helping to deposit calcium in appropriate locations, such as in the bones and teeth, and prevent it from depositing in locations where it does not belong, such as the soft tissues. One of the health benefits of vitamin K2 not often discussed is its role in ensuring healthy skin, and this vitamin is likely beneficial for preventing wrinkling and premature aging. Adequate dietary vitamin K2 prevents calcification of our skin’s elastin, the protein that gives skin the ability to spring back, smoothing out lines and wrinkles. Research suggests that people who cannot metabolize vitamin K end up with severe premature skin wrinkling. Vitamin K2 is also necessary for the proper functioning of vitamin A- and D- dependent proteins. Probiotics influence what is known as the “gut-brain-skin” axis and affect skin health. The ability of the gut microbiota and oral probiotics to influence systemic inflammation, oxidative stress, glycemic control, and tissue lipid content, may have important implications in skin conditions such as acne, rosacea, atopic dermatitis, and psoriasis. Recent studies have shown that orally consumed pre and probiotics can reduce systemic markers of inflammation and oxidative stress. There is thought to be a connection between small intestine bacterial overgrowth (SIBO) and the incidence of acne, and reestablishing the proper balance of gut microflora can be beneficial for skin conditions. Many people with skin conditions also have SIBO which often involves an overgrowth of microorganisms that produce a substance called D-lactic acid. Most commercial probiotics contain strains (like Lactobacillus acidophilus) that also produce D-lactic acid Soil-based organisms do not produce significant amounts of D-lactic acid, and are a better choice for this reason ( e.g. 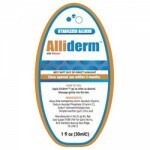 Prescript Assist) when treating skin conditions. The average woman uses 12 products containing 168 different ingredients daily. Many cosmetic chemicals are designed to penetrate into the skin’s inner layers. Consequently, some common cosmetic ingredients turn up in people’s bodies. Among them: industrial plasticizers called phthalates; parabens, which are preservatives; and persistent fragrance components like musk xylene. DARK, PERMANENT HAIR DYES. Minimize use of these as many contain coal tar ingredients, including aminophenol, diaminobenzene, and phenylenediamine, linked to cancer. HAIR STRAIGHTENING TREATMENTS: Many use harsh or toxic ingredients, and make misleading safety claims.. SYNTHETIC FRAGRANCES often contain phthalates, synthetic chemicals commonly used to stabilize fragrances and make plastic more pliable. These endocrine disrupters mimic hormones and may alter genital development. Avoid products that list fragrance as an ingredient unless the label states that it’s derived from essentials oils, or look for a phthalate-free label on the packaging. PARABENS, ubiquitous in skincare, preserve other ingredients and extend a product’s shelf life–but these antimicrobial chemicals also have hormone-disrupting effects. UREAS, formally known as diazolidinyl urea, imidazolidinyl urea, or DMDM hydantoin and sodium hydroxymethylglycinate, are preservatives that have the potential to release formaldehyde in very small amounts and are a primary cause of contact dermatitis. 1,4-DIOXANE, a chemical carcinogen, is created when ingredients are processed with petroleum-derived ethylene oxide. Common ethoxylated compounds include sodium laureth sulfate and polyethylene glycol (often listed as PEG). To avoid it, skip any product with the following ingredients: myreth, oleth, laureth, ceteareth (or any other -eth), PEG, polyethylene, polyethylene glycol, polyoxyethylene, or oxynol. PETROCHEMICALS are derived from crude oil. Petroleum-based ingredients such as petrolatum, mineral oil, and paraffin (derived from nonrenewable sources) form a barrier when applied to the skin that does not allow it to breathe and can clog pores. MEA/DEA/TEA are “amines” (ammonia compounds) and can form harmful nitrosamines when they come in contact with nitrates. Used as foaming agents, synthetic stabilizers, and to adjust the pH of cosmetics, they can cause allergic reactions, eye irritation, and dryness of the hair and skin. SULFATES, such as sodium lauryl and sodium laureth, are harsh detergents that give cleansers, soaps, and shampoos their latherability. Often derived from petroleum, sulfates can also come from coconut and other vegetable oils that can be contaminated with pesticides. Sulfates can cause eye irritation and skin rashes. CHEMICAL SUNSCREENS, such as oxybenzone and octylmethoxycinnamate, have been shown to disrupt endocrine activity. Titanium dioxide and zinc oxide are safer alternatives. QUATS, such as benzalkonium chloride, steardimonium chloride, cetrimonium bromide, and cetrimonium chloride, give a positive charge to conditioners in order to prevent static. They are necessary for conditioners, but we have allowed only the mildest quats in our Beauty With a Conscience standard: guar hydroxypropyltrimonium chloride, hydroxypropyltrimonium oligosaccharide, and SugaQuats. ANTIBACTERIAL COMPOUNDS, such as triclosan and chlorphenesin, do not break down in the environment and may contribute to bacterial resistance. SYNTHETIC POLYMERS, such as sodium polyacrylate and carbomer, come from petroleum and give viscosity to skincare products. They are highly processed and their manufacture creates toxic by-products. SYNTHETIC COLORS are made from coal tar. They contain heavy metal salts that may deposit toxins onto the skin, causing skin sensitivity and irritation. Animal studies have shown almost all of them to be carcinogenic. They will be labeled as FD&C or D&C, followed by a color and a number. CHELATORS, such as disodium EDTA and tetrasodium EDTA, are used in personal care products to remove impurities from low-quality raw materials. They do not readily biodegrade in the environment. NANO Particles are a new technology with inconclusive but potentially hazardous study results. Research suggests that when tiny nano particles penetrate the skin, they may cause cell damage. ANIMAL TESTING: A grim history of cruelty to animals lies behind many cosmetic ingredients. But scientists are developing new technologies to test cosmetics before a European Union ban on animal testing begins in March 2009. RESORCINOL: Common ingredient in hair color and bleaching products; skin irritant, toxic to the immune system and frequent cause of hair dye allergy. may disrupt normal thyroid function. BHA and BHT (BHA banned for cosmetic fragrance in EU). 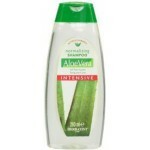 Used mainly in moisturizers and makeup as preservatives. Suspected endocrine disruptors and may cause cancer (BHA). Harmful to fish and other wildlife. It might cause skin depigmentation, liver damage, interfere with normal reproductive system development and thyroid hormone levels. BORIC ACID AND SODIUM BORATE: These chemicals disrupt hormones and harm the male reproductive system. HYDROQUINONE: A skin bleaching chemical that can cause a skin disease called ochronosis, with blue-black lesions that in the worst cases become permanent black caviar-size bumps. LEAD: A neurotoxin in some popular hair dyes for men. Methylisothiazolinone, methylchloroisothiazolinone and benzisothiazolinone: Preservatives, commonly used together in personal care products, among the most common irritants, sensitizers and causes of contact allergy, and also may be neurotoxic. SYNTHETIC VITAMIN A compounds (retinyl palmitate, retinyl acetate, retinol): Vitamin A is an essential nutrient of skin but not necessarily safe for use on skin. Studies show that when applied to sun-exposed skin these compounds can increase skin sensitivity. and may damage DNA. These ingredients are widely used in sunscreens, skin lotions, lip products and makeup. EWG urges consumers to avoid skin and lip products with vitamin A. 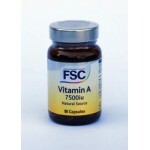 It is not clear if this applies to natural sources of Vitamin A.